Kristin Bauer Van Straten returns to Once Upon A Time in Sunday’s mid-season finale. 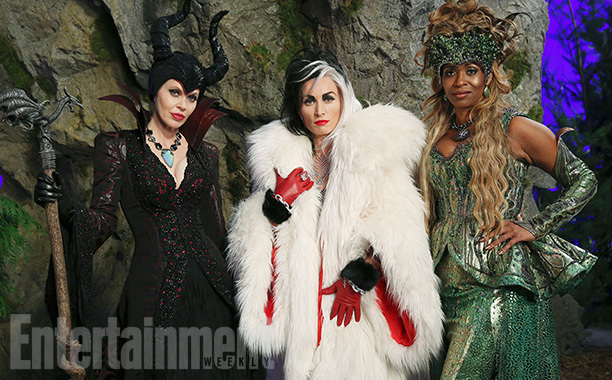 According to Entertainment Weekly her character, Maleficent, will form part of a trio of evil, otherwise known as the Queens of Darkness, along with Ursula (Merrin Dungey) and Cruella de Vil (Victoria Smurfit). This entry was posted in Kristin Bauer Van Straten, Once Upon A Time and tagged Kristin Bauer van Straten, Once Upon A Time on December 13, 2014 by Evie Red. SkarsgardFans wishes a very “Happy Birthday” to one of our favorite people, True Blood star, Queen of Fangtasia, charity fundraiser and all-round wonderful human being, Kristin Bauer Van Straten. This entry was posted in Kristin Bauer Van Straten and tagged Kristin Bauer van Straten on November 26, 2014 by Evie Red. This entry was posted in Kristin Bauer Van Straten, Once Upon A Time and tagged Kristin Bauer van Straten, Once Upon A Time on October 22, 2014 by Evie Red.